When it comes to my white hot truth – the stuff that sits under any social pomp and fanfare – the thing I’m always most grateful for are the people I can bare my soul to without a smidgen of fear, criticism or judgement. Sometimes my truth feels sparkly, sometimes pungent, sometimes a bit whacky and at other times… just incredibly sensitive and, well, private. If my personal journey has taught me anything, however, it’s that being with friends and loved ones in this deeply connected way – at the level of white hot truth – requires me first to be able to hold myself whole… without judgement… with love… and exactly as I am. To explore this topic further, I’d like to share with you a white hot truth video (big thanks to The Scene). In this powerful video, two best friends (a producer and an actress) – both very beautiful women – are holding space for each other’s truth. They sit together lovingly, get brutally honest and direct details of their inner most thoughts out loud to the other… you know… the ones that can wreak havoc, silently, on repeat, like a never-ending barrage of destructive loop-di-loops. Despite the discomfort and vulnerability these women feel while sharing their white hot truths, what’s interesting is that witnessing them gives rise to only love in the receiver and the observer. No conflict, no competition, no argument. Just love, connection and a sense of liberation even, because the truth is always pure. It’s singular. It makes you want to lean in… and in truth, it has the power to set you free. Just like the beautiful women in this video, the white hot truth of the matter is that many of us have the capacity to be too critical of ourselves (or others we love) at times. For some of us, it’s fuelled by perfectionism (I’m unlovable unless I’m perfect), a perceived lack of material wealth (struggling to keep up with the Jones’), career progress (missed out on that promotion), relationship status (still single), intelligence (wish I was smarter) or the ideal body size or shape (if only I could lose 10kg, my life would be awesome). This is true even for the most capable, the wealthy, the successful, the smart and the beautiful. 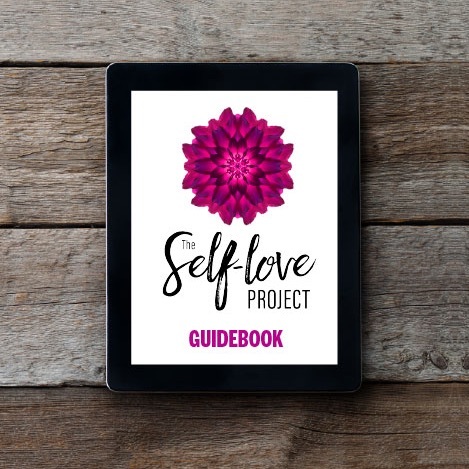 When it comes to any self-critical loop-di-looping, however, it all stops with The Self-Love Project’s 6-Week research-based program. If you’re ready to experience more love, more acceptance and more of your own white hot truth, check out our next program start dates here. In this program, I support people (men, women, corporates, entrepreneurs, stay-home parents and others) over 6-Weeks to cultivate scientifically tested habits (from Harvard, Yale, Sydney University & elsewhere) to access more of your white hot truth. The benefits reported include a sense of truely integrated wellness, wholesome emotional health and more deeply connected relationships that are grounded in the best thing of all, the imperfectly perfect you.